If your business is not taking advantage of video then you are missing out on the fastest growing internet audience available. 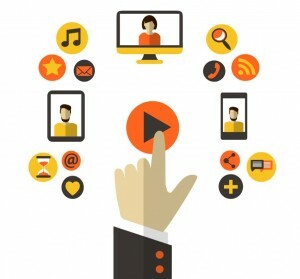 Many companies make videos a integral part of their marketing communications plan. By far, video is the fastest growing media on the internet yet only a small fraction of the internet content is made up of video. Consider these figures: YouTube, the largest provider of video content, has over a billion users. That is nearly 33% of all the people on the internet. Each day YouTube visitors watch hundreds of millions of hours of video content that generate billions of views. YouTube reaches more young people than any other cable network. If you’re not sure what kind of video you want to do. Start with still images. Visit Pinterest Instagram or FFFfound.com to see what trends are hot and what type of visuals appear to you. Visit business publication websites for the industry you’re in to see what topics are trending. Talk with employees about the types of questions customers ask and develop videos as solutions to cut back on phone calls. Visit competitors websites to see what they might be doing. Don’t copy – create your own style. If you’ve come to the conclusion to pour all your marketing budget into video, step back for a minute. Start with one good video and see how it catches on. Then do a second. A steady ramp up to a video program is far better than tossing out a handful of poorly thought out video content. If you’re convinced video is a great idea and want to expand you will probably have a laundry list of things to say. Reconsider that. Rather than saying everything you do , focus on one thing you do best. Shorter is often better as viewers have short attention spans. If you have a lot to say consider doing it in a series of one minute videos vs doing a 20 minute soliloquy that most viewers will turn off after a minute or two. Make your videos reflect your company and its’ personality. Just because you like animation, doesn’t mean that will fit with funeral services. Make sure to think through not only what you want to say but how you want to say it. Use other video styles as a starting point but try to put your own flair on it. Don’t copy what others are doing. Don’t make your video images too complex. With over 50% of views coming from mobile devices you want to make sure the images that are important are BIG. 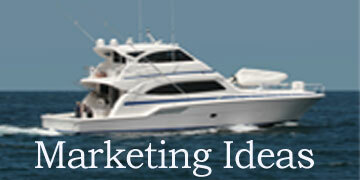 Once you’ve got that big idea make sure your budget is set to match it. Don’t view an expensive Hollywood production and expect General Marketing Services to match that for $500. While there are plenty of cool things that can be done with limited funds most TV commercials cost millions of dollars to produce so be realistic with your expectations. Millions of people have produced great content on limited budgets. Remember it’s the message that matters. Even though you may have a vision in your head, keep an open mind on what others around you, including your video producer may suggest. Understand that the final product rarely comes out exactly like your first vision. Your message is the most important issue and as long as that gets across then you’ll be successful. Where Can I Use My Video? Videos grab great attention in search results along. Simply placing it on YouTube is a good start. From there you can plug it into any page on your website, your Facebook, Linked In or Twitter Page. Email it to clients and potential clients. So now that you’re convinced that video can help build your brand and get your message across to your customers General Marketing Service is ready to take it to the next step. Contact us with your idea and let us craft a great script and compose a memorable video that you’ll have for years to come.